Watch contains all 32 Countries in a single watch. 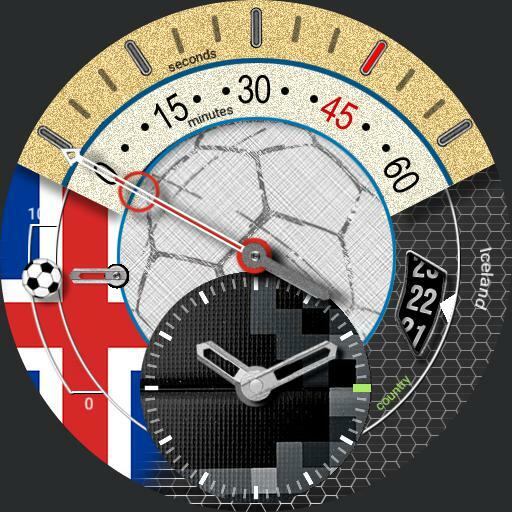 Tap bottom dial to Start / Pause chronograph. Tap centre of watch to Reset Chronograph. Tap green marker to select your desired country.